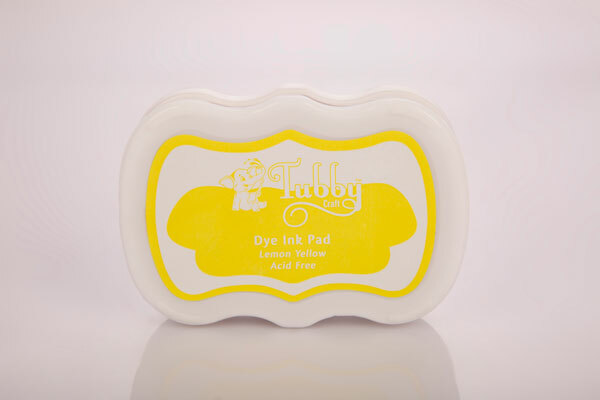 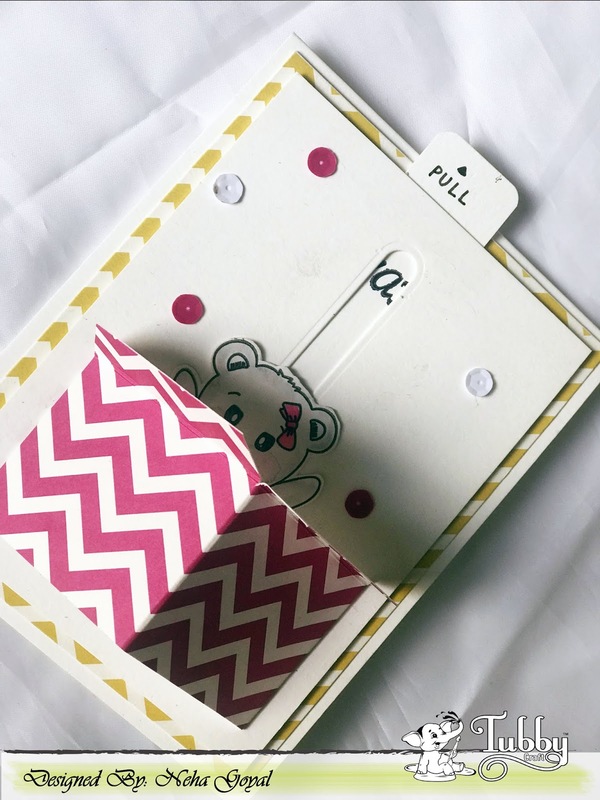 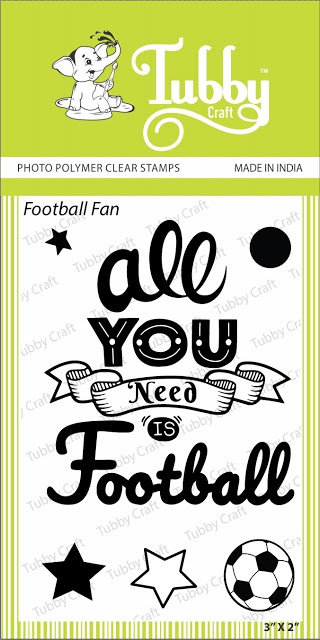 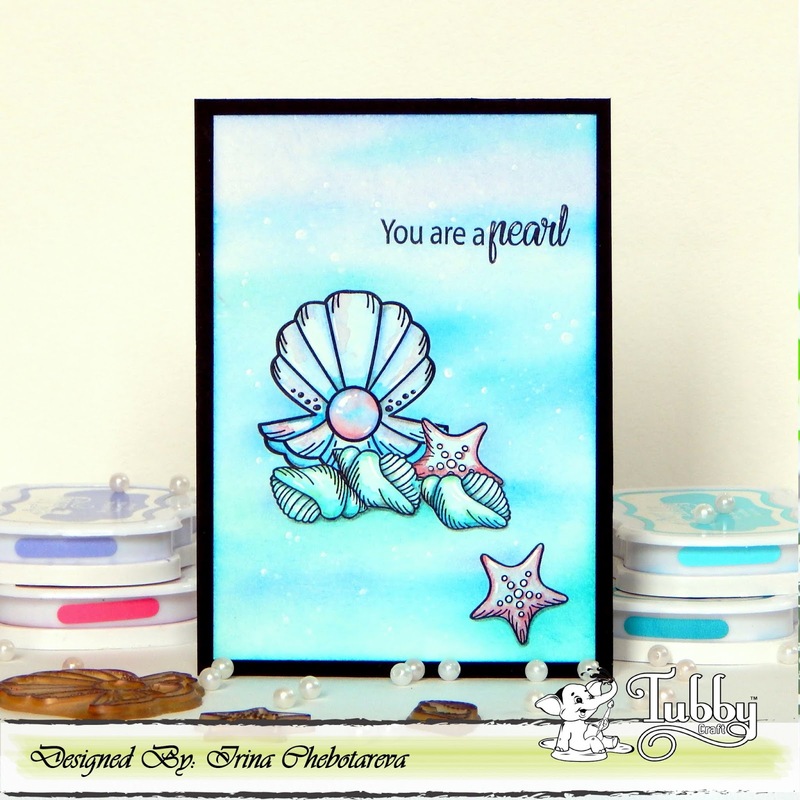 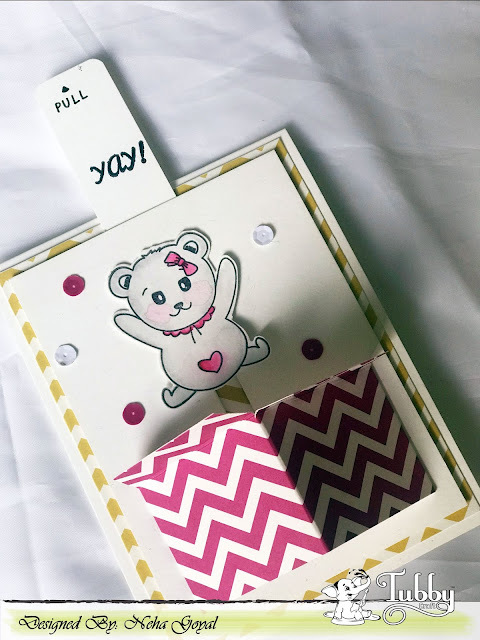 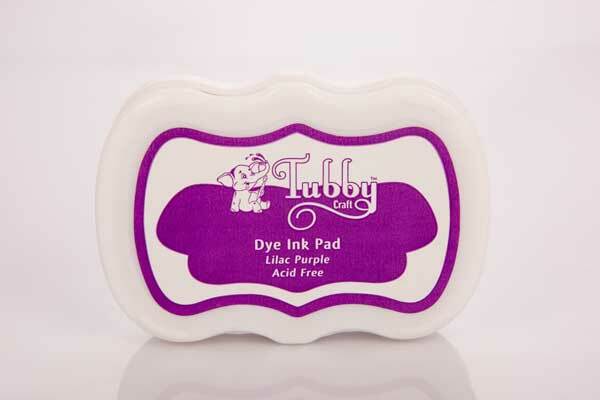 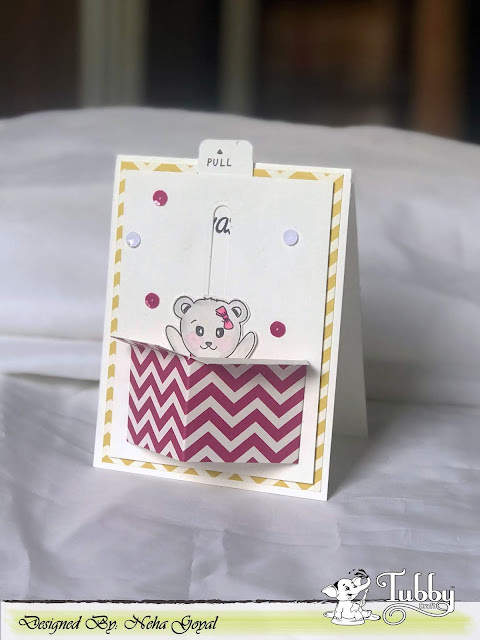 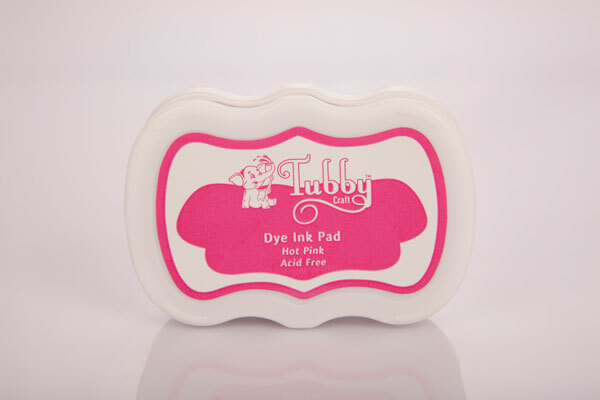 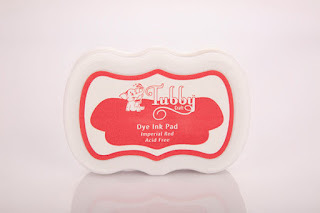 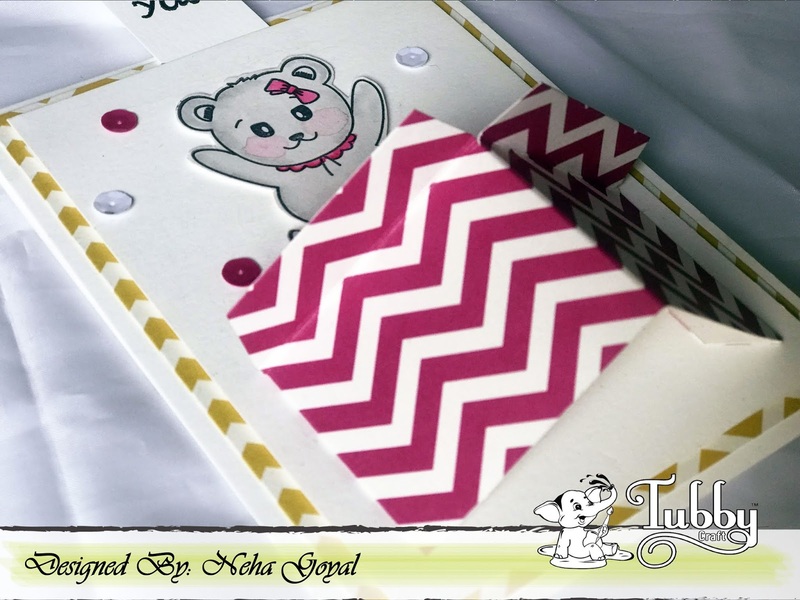 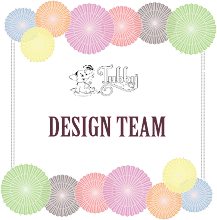 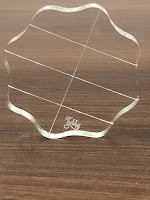 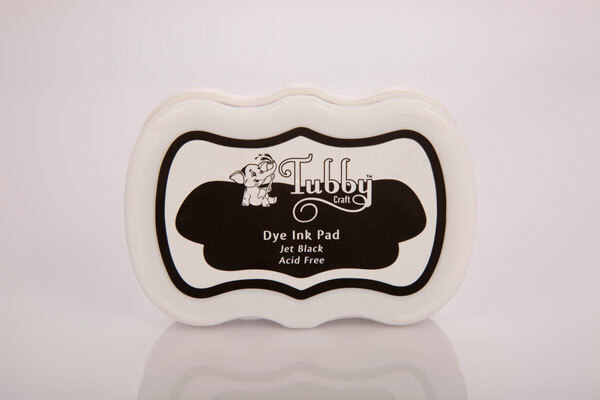 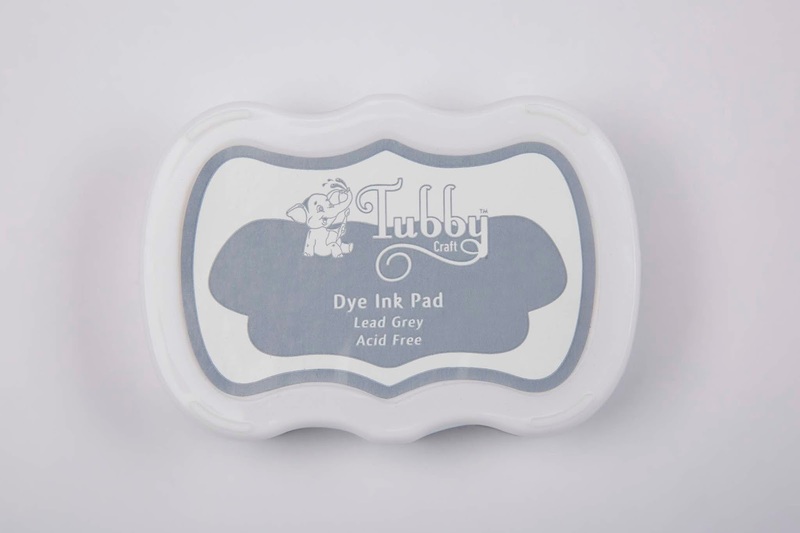 This is Neha again from NG Creatives welcomes you all on a Tubby Craft blog today with some fabulous projects. 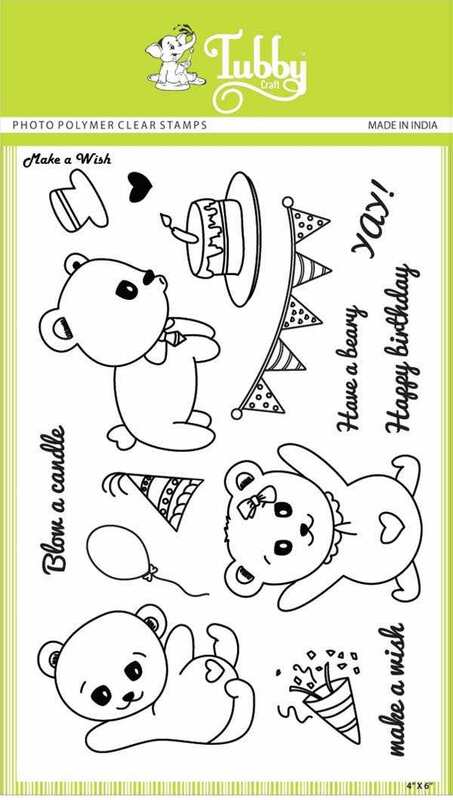 It's Piyu here today and I have a couple of masculine cards. 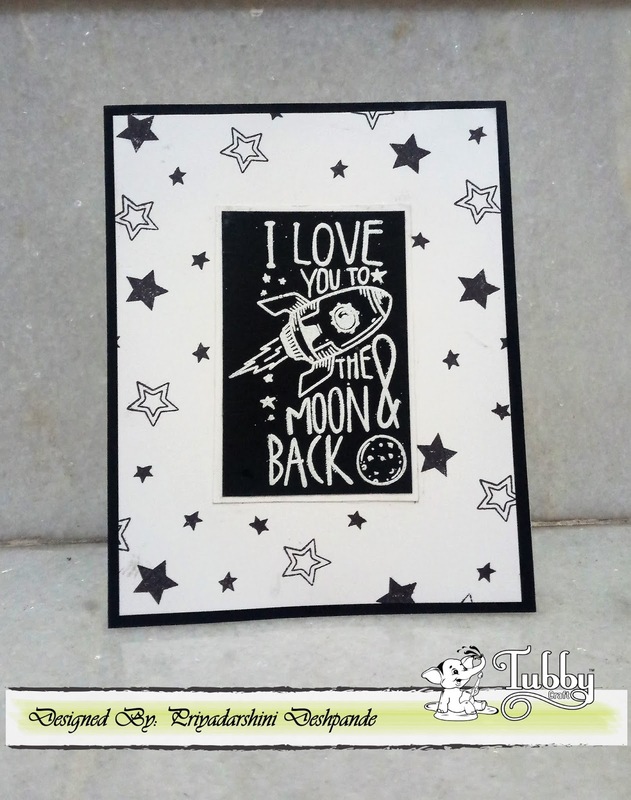 My first card is a black and white card made using the stamp set Love moon. The black and white color scheme makes it perfect as a masculine card. 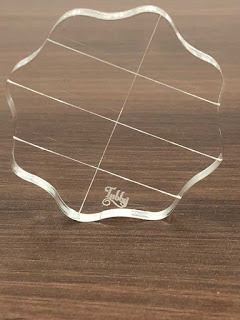 I first stamped the image onto black cardstock and embossed it using white embossing powder. 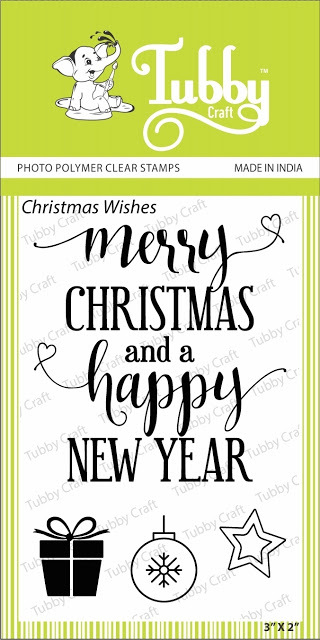 Then I stamped the stars from the Football love and Christmas Wishes Stamp set using Jet black Dye ink on white cardstock. 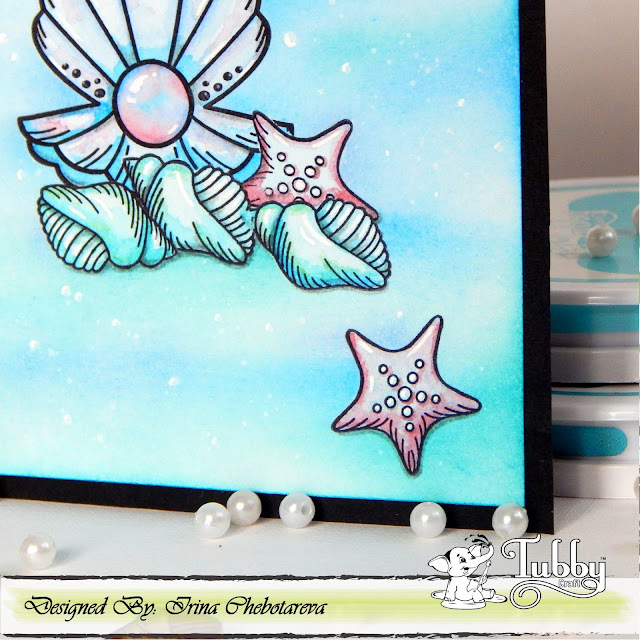 Finally I layered the white cardstock on black and vice versa and stuck the embossed panel onto the star background one. 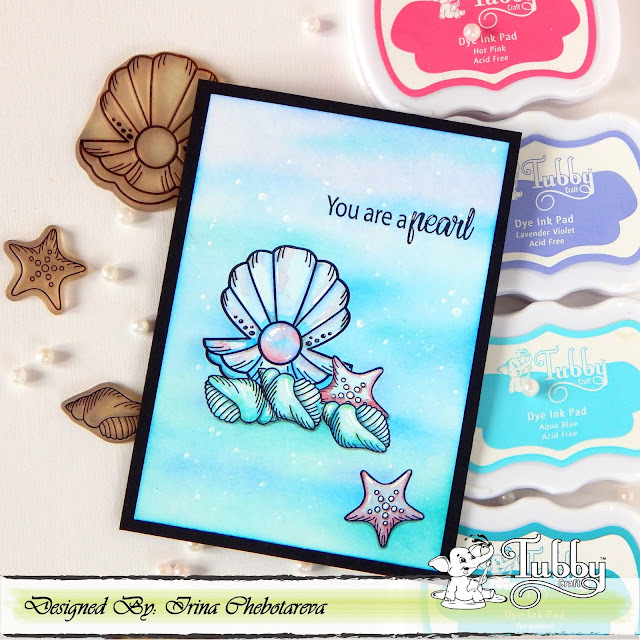 For this card I selected the monochromatic color schemes. 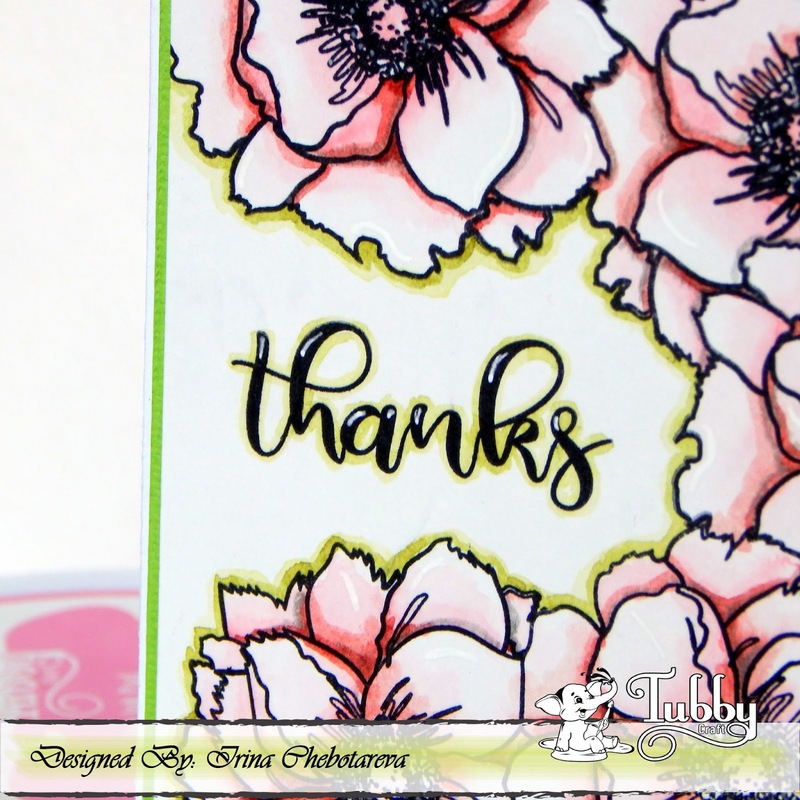 I stamped the leaves from the Camelia layered flowers and Wishes with Magnolia stamp set in Lemon Yellow dye ink on watercolor card stock. Then I colored the leaves using zig markers. 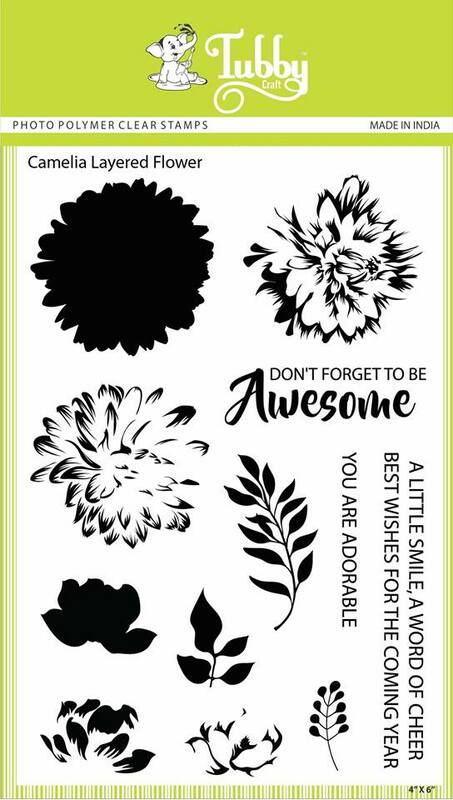 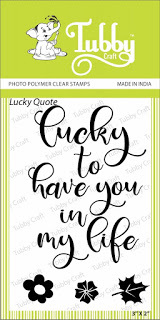 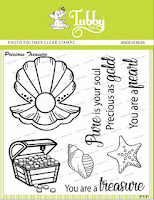 I added the sentiment from the Lucky quote stamp set using black jet ink. 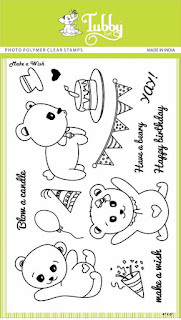 I hope you liked my cards for today. 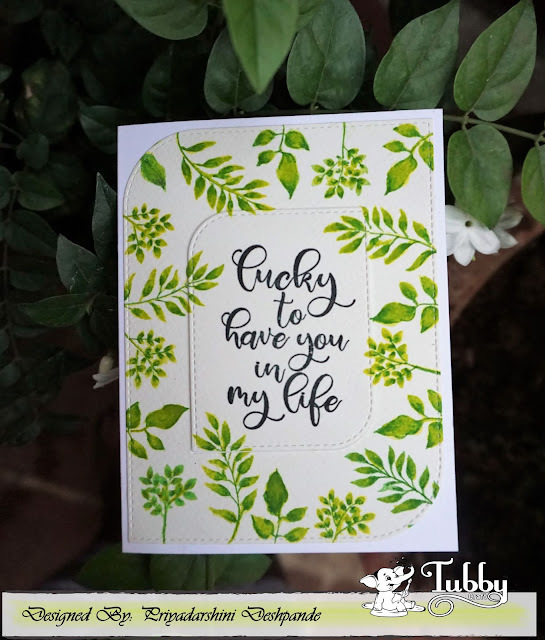 Today I have two cards to share with you all. 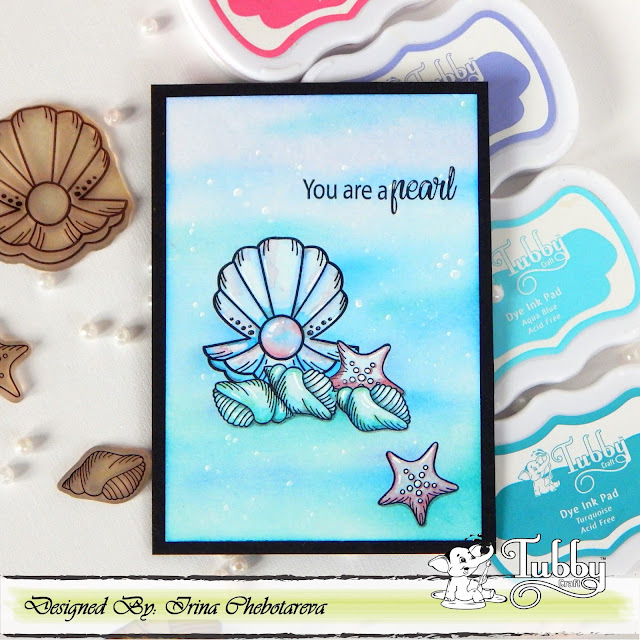 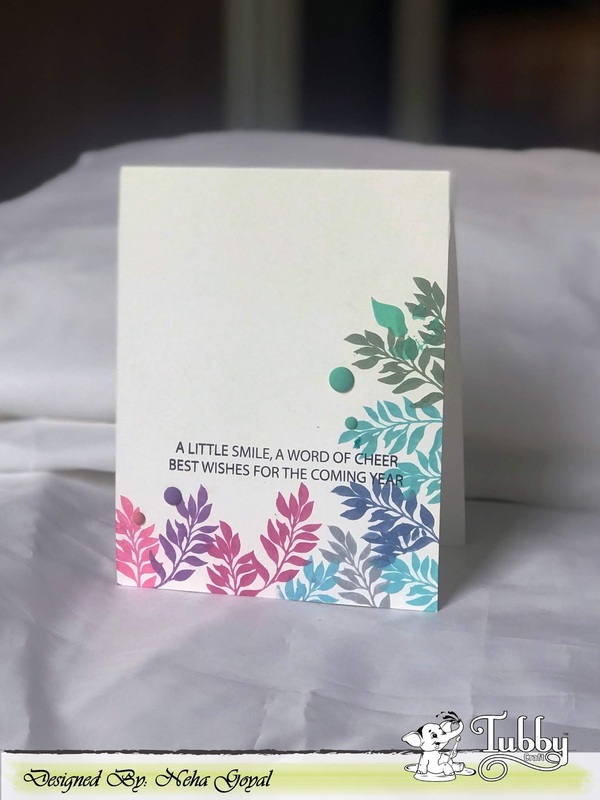 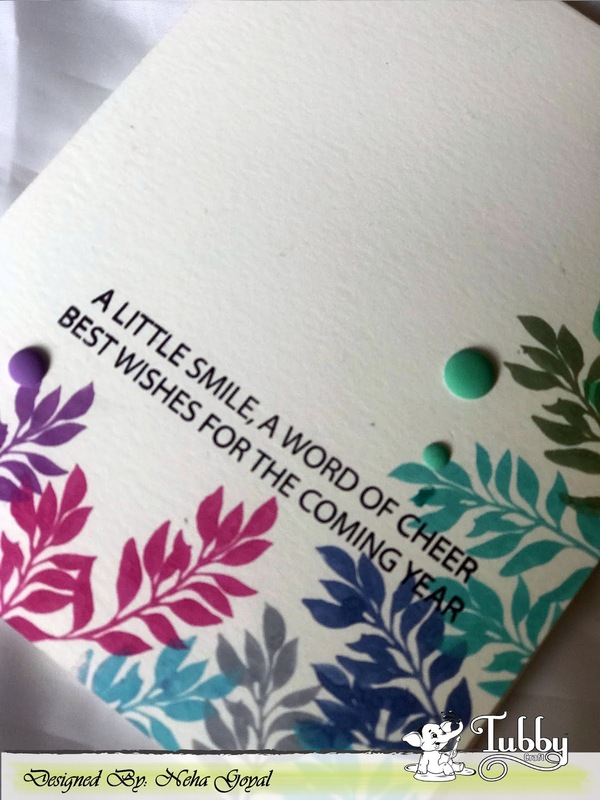 I made this card using "Bright Day" stamp set and Tubby Craft dye ink pads. 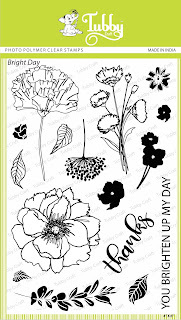 I stamped flowers with the Jet Black dye ink. After that, I colored the flowers. 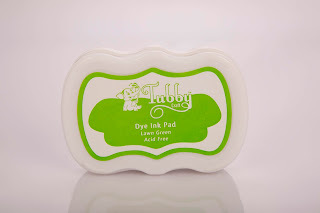 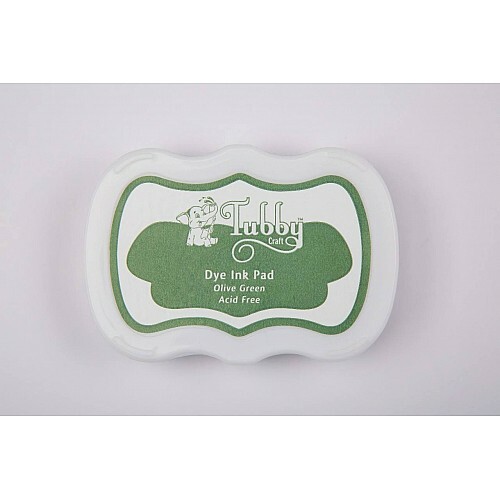 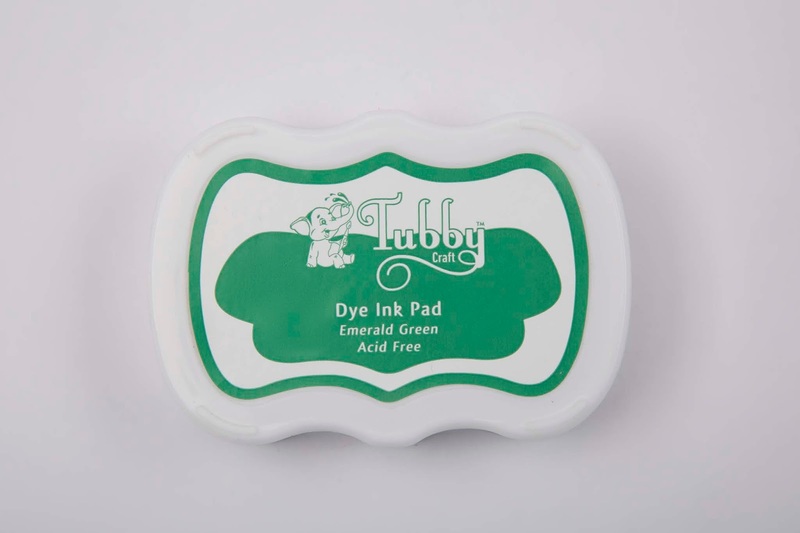 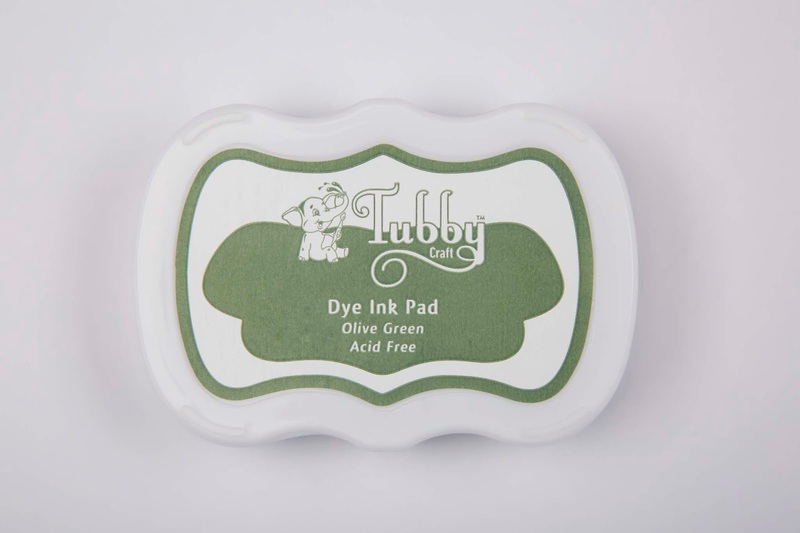 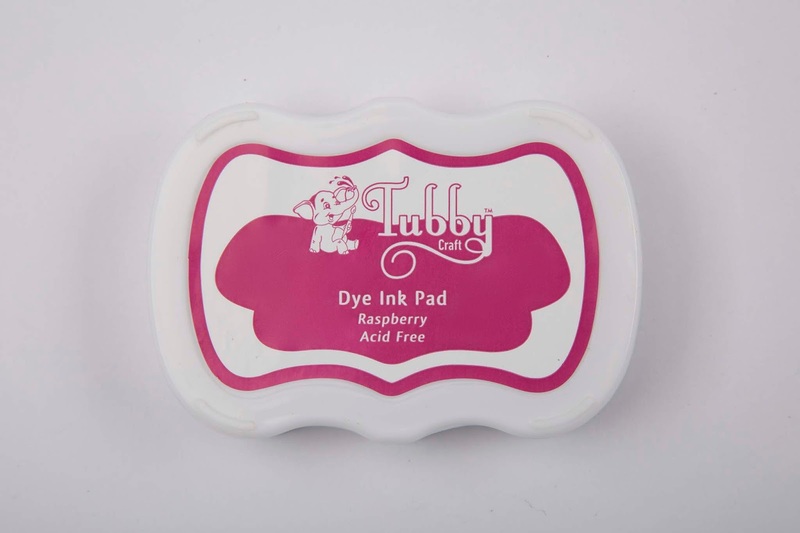 For which, I used Tubby Craft Dye Inks - Imperial Red, Light Pink, Olive Green and Lawn Green inks. 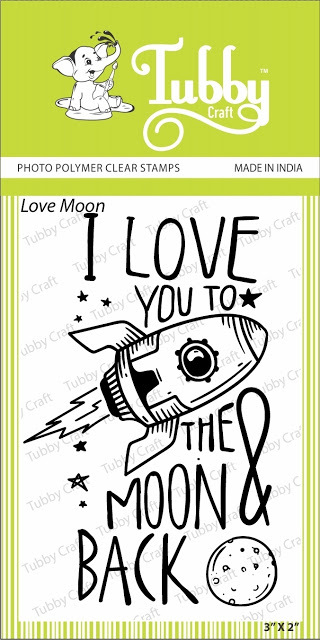 Also I stamped the sentiment from the same stamp set. 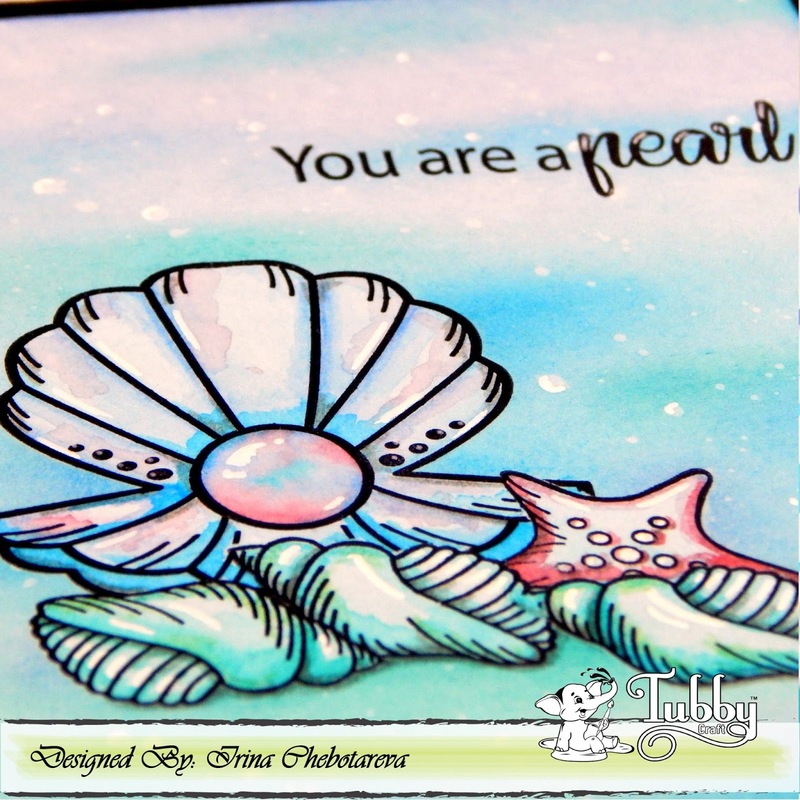 I made this card using "Precious Treasure" stamp set and ink pads. 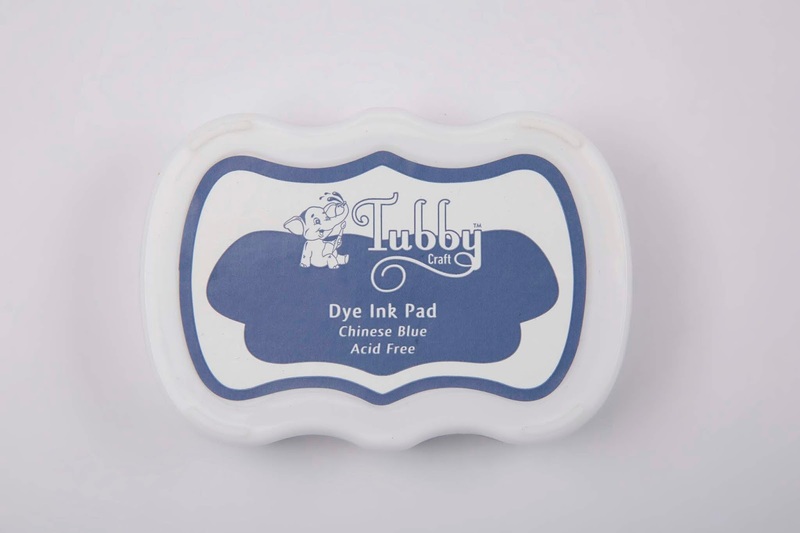 I blended background with Tubby Craft Aqua Blue, Lavender Violet and Turquoise dye inks. 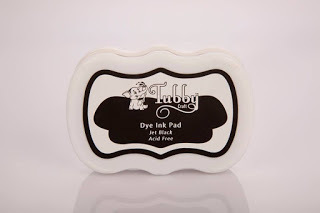 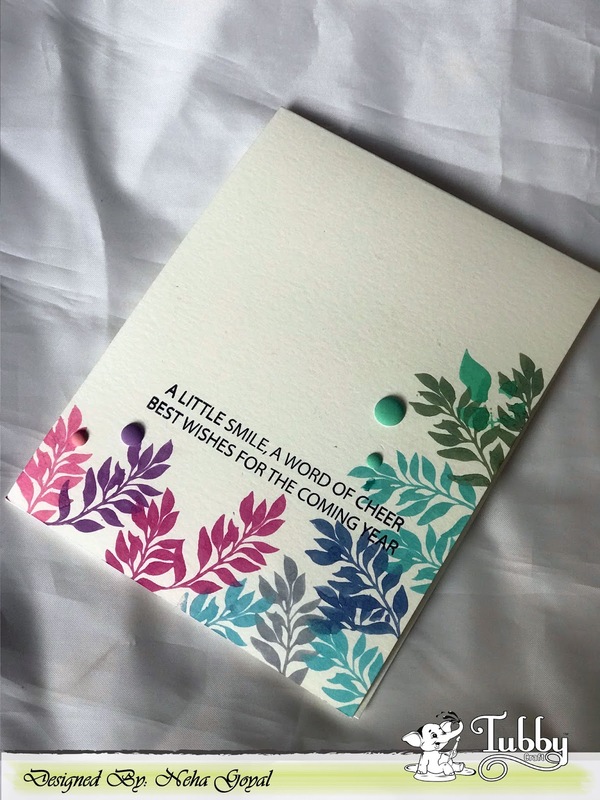 After that, I stamped images with the Jet Black dye ink and colored it up with Tubby Craft Aqua Blue, Lavender Violet, Hot Pink and Turquoise inks. I also used white gel pen for detailing.